More than 30 students of the Abasaheb Garware College will now be able to get information about various notices issued in the institution. The management has arranged an audio notice board for its visually impaired students. 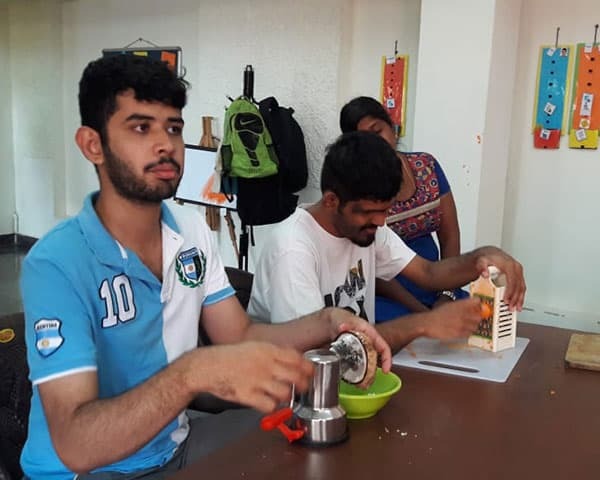 There are 32 blind students in the institute and the audio board is one of the many facilities that the college has arranged for its disabled students. The audio notice board has been created by two former students of AISSM's College of Engineering, Nandan Gawte and Ankita Pawar. The board has set of headphones attached to it and students can use that to listen to information. Students can choose the year they are studying in such as first, second, or third year and listen to the text-to-speech translations of the notices put up by the college. A faculty member records the important notices and blind students can access them via the audio board. The board will ensure that blind students get the information that is available to the other students through the notice boards. This will help build up their confidence and make them a part of the main stream college life.